I know I'm off to a late start this year but I wanted to give the retailers adequate time to stock up before I began hounding the stores like a deranged junkie. This year's season is definitely off to a great start with a number of new products and promotions. 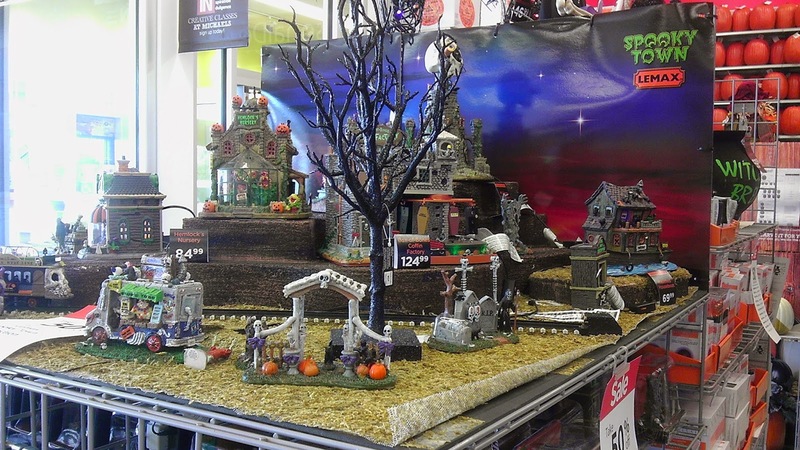 The first store I scoured was Michaels, a store that's always been my "go-to" for cool Halloween swag. While they do have a handful of off-putting "cutesy" decorations, the good always outweighs the bad. Plus they're always having a sale, if it's not on sale you can guarantee there's a coupon available online. Did I mention they're the world's largest Lemax retailer? How can ya' go wrong!? At first glance Silvia (Haydee Politoff) seems to be an average everyday housewife. But as you likely already know, looks can be extremely deceiving. Underneath Silvia's calm and normal demeanor is a woman who fantasies about being enslaved in exotic locations. Luckily for Silvia her man is recently out of the picture allowing for employment with Margaret (Rosanna Schiaffino), a very wealthy and sophisticated movie star who's unknowingly willing to give into Silvia's every desire. Margaret treats her employees as if they were fashion accessories, she insures all of her staff are fashioned with uncomfortable high-heel shoes and requires everyone refer to her as "the mistress." 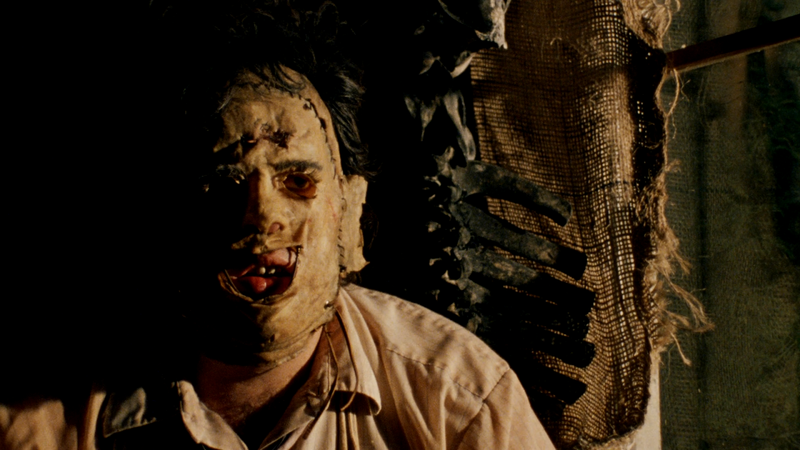 If you haven't had a chance to stop by Cannibal Reviews' Facebook page, you should rectify that as soon as possible! This Halloween season we are having a number of giveaways featuring a wide range items perfect for this time of the year! 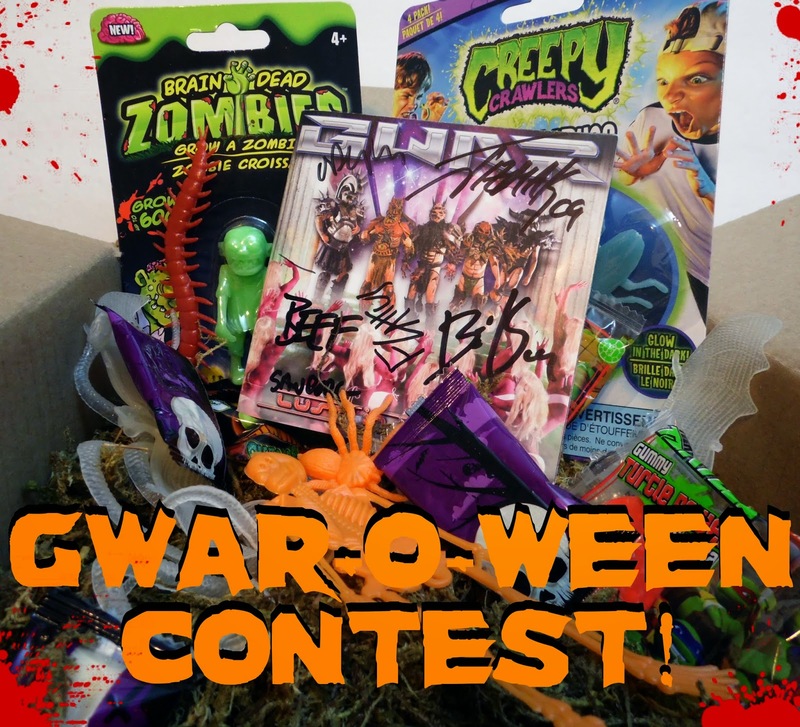 Our latest contest is GWAR themed featuring an album signed by the ENTIRE band during their Lust in Space era. Emma (Melissa Carnell) moved to the big city with dreams and high hopes, but fate had other plans for the small town girl and now she's found herself back in podunk-nowhere Arkansas tryin' her best to stay sober. Unfortunately for the young gal sobriety is the least of her worries with two hardened criminals on the loose, and oh, did I mention the werewolf yet? Yeah, that might cause a slight dilemma. At this point it seems the resurgence of MEGO inspired collectibles shows no signs of slowing down. Fans love the aesthetics of the toys and I'm betting companies are pretty happy with the tooling costs. The latest in Neca's retro line is "sack head" Jason from Friday the 13th Part 2, and while it wasn't initially on my "buy list" I couldn't say no when I saw it hanging on the shelf. The arrival of Autumn is a special time of the year for the Horror fan. 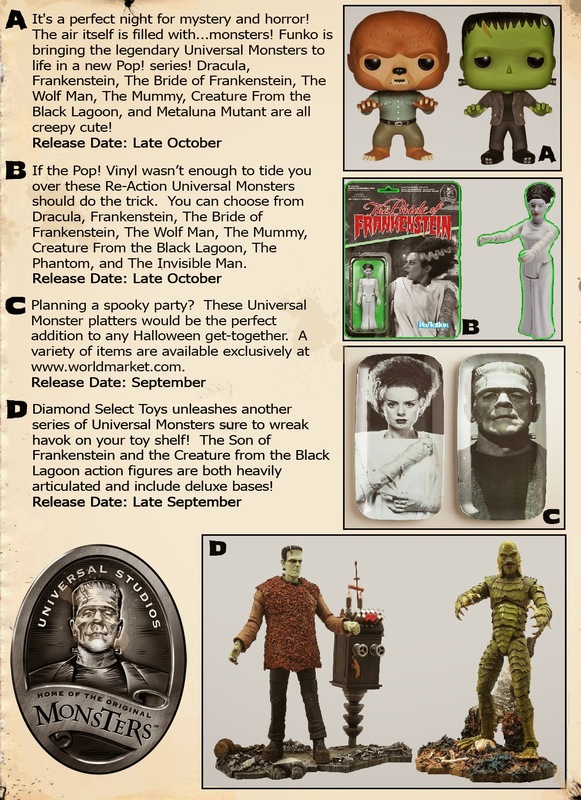 Halloween, Count Chocula, new Universal Monsters toys, what's not to love!? For the last five years Diamond Select Toys have been sure to make September a little more fun by giving fans plastic incarnations of their favorite classic monsters. 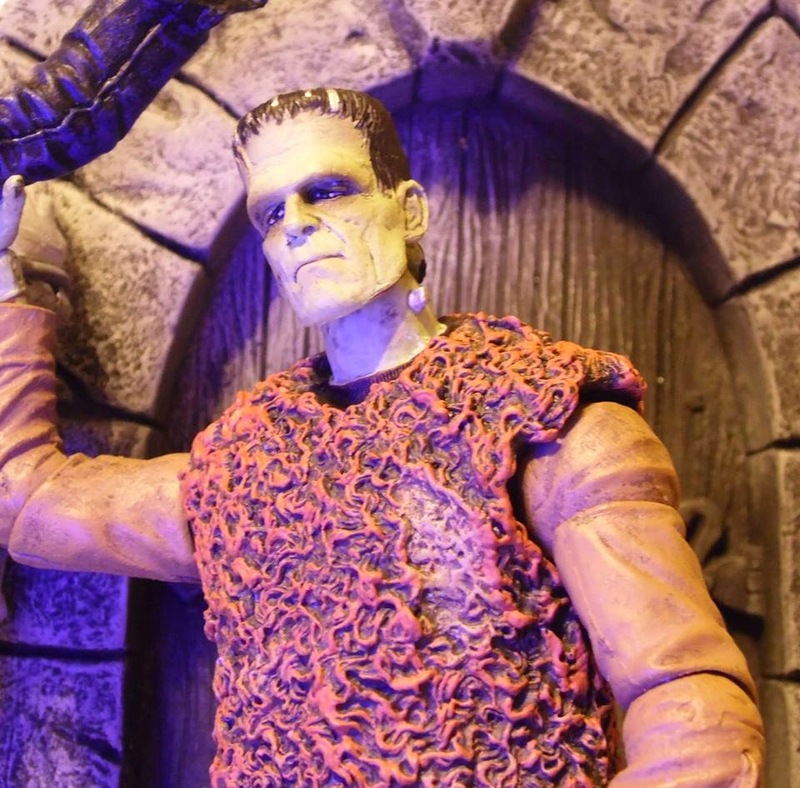 This year the company has presented us with some of the best Universal Monster toys of the last decade! The monster from the Son of Frankenstein and the beloved gill-man from The Creature from the Black Lagoon done up in typical Select fashion; Deluxe bases, loads for articulation, and film accurate sculpts. Also included in the line up is an original concept Van Helsing, that while technically is not a Universal Monsters Select he's still done up in a similar style and shipped with this year's wave. Onto the figures! My first experience with Michele Soavi was through 1994's Cemetery Man, arguably his strangest and most experimental film. 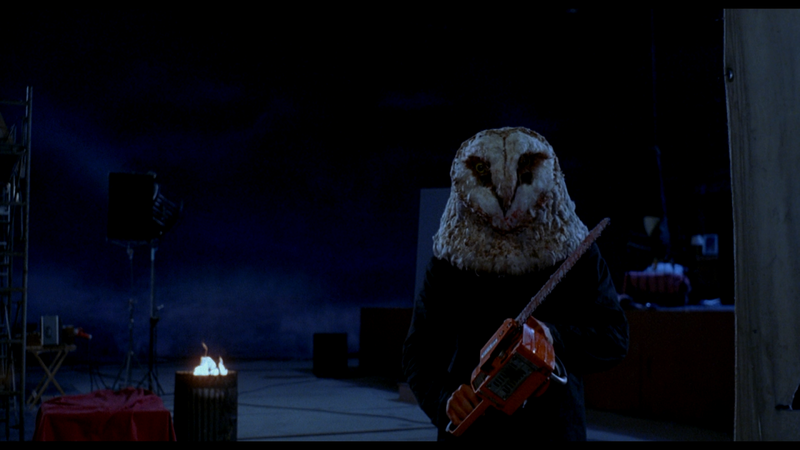 After being completely floored by that film I made it my mission to seek out the director's other genre pictures; The Church, The Sect, soon I made my way to Stagefright. Soavi got his start working as an assistant director with guys like Lamberto Bava and Dario Argento, eventually he'd branch out on his own; 1987 marked his first directorial foray into the horror world with Stagefright. Raro seems to be the only US company intent on pushin' out Poliziotteschi films and we're very lucky to have them around. Stunt Squad is another solid Italian shoot'em up full of car chases, groovy music, and scumbags. Valli (Vittorio Mezzogiorno) is a crime boss who's been hounding local businesses for protection money. If they refuse to pay he insures they suffer a very painful death at the hands of a well timed explosion. 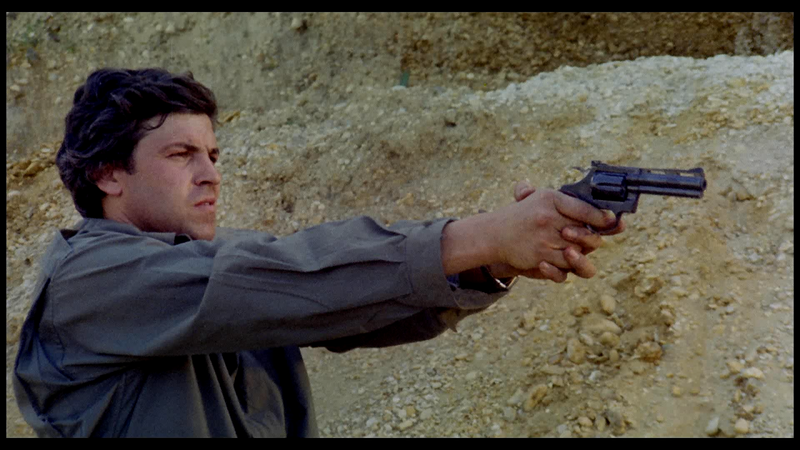 After a handful of casualties the local PD decide to form a special task force of elite officers, headed by Grifi (Marcel Bozzuffi) they aim to take down Valli and stop anyone in their way, they are the Stunt Squad! With Diamond Select Toys' latest (and greatest!) series of Universal Monsters invading toy stores I figured I'd share a few pictures featuring my favorite of their releases thus far. If you've missed out on a few of these releases it's never too late to play catch-up, if you're lucky you might find a few of the older ones discounted at your local Toys R Us. 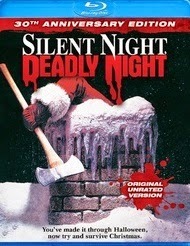 Looking to buy a gift for the horror fan in your life? You've came to the right place! The months of September and October are rich with a plethora of horror and Halloween related items. While it would be impossible to list every single product coming out, I have cherry-picked some of my personal must haves and attempted to recreate the look of an old Holiday catalog (c'mon, who doesn't remember how awesome those were!?) Enjoy! Horrific distractions - The horror memorabilia of FOUND. If it wasn't clear by my latest review I was pretty taken by Found. 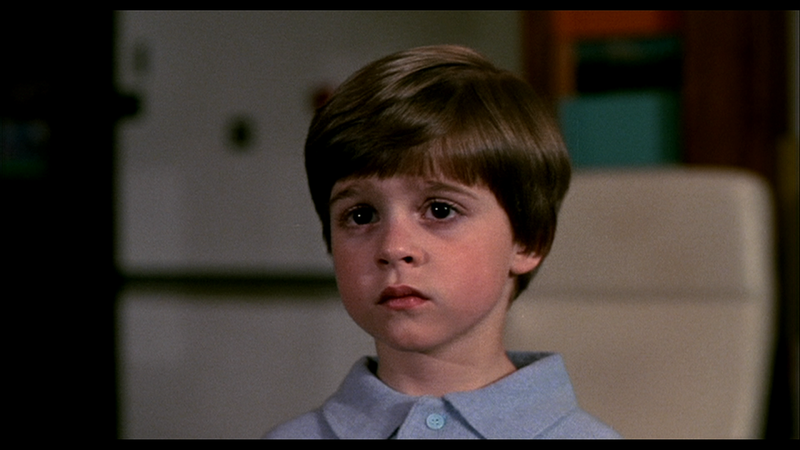 One great aspect of the film were the rooms of Marty and Steve. 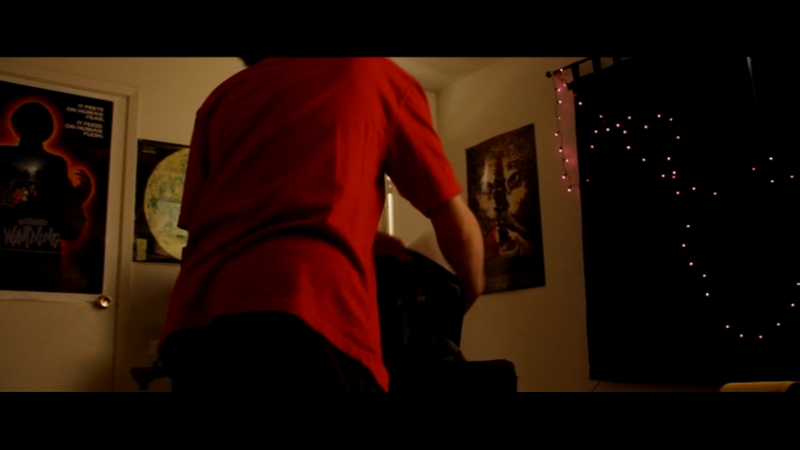 Everytime the camera panned on a new section of the room you would catch glimpses of different pieces of horror memorabilia and monster toys. When I went back to do the review I was sure to pay close attention to some of the cool things on display. Below you'll find some of my favorite items! SOUNDS to make you SHIVER! A look (and listen) at an old Halloween SFX record! 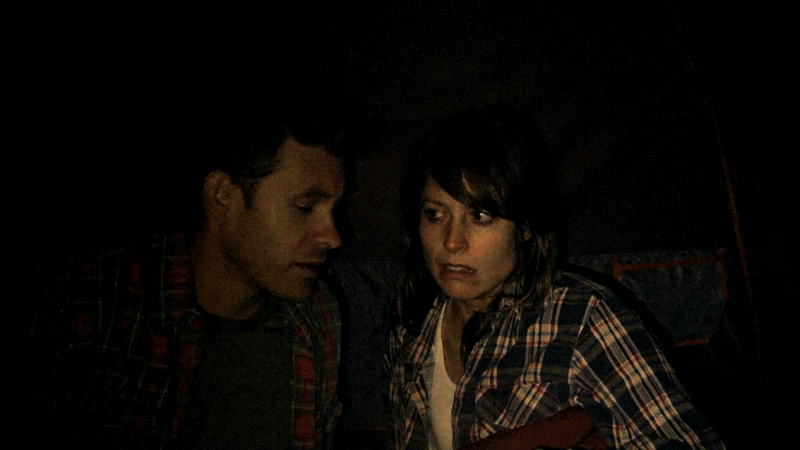 Everyone loves a good Halloween sound effects record, right? I know I do, and I feel that while lately companies have been doing a lot of right with the new Halloween products, kids today are in dire need of more Halloween SFX albums. All I'm seeing are CD's collecting the same ol' tired movie theme tracks. Boo. Lonesome Wyatt from Those Poor Bastards had the right idea when he created Halloween is Here, a collection of Halloween-themed songs complete with ghastly hollars and spooky sounds. Here's hoping that other people follow suit. Until then your best bet is going to flea markets and yard sales where if you're lucky you might stumble upon something like this. Comedian turned director Bobcat Goldthwait has given us a lot of entertainment over the years with films like Worlds Greatest Dad, Shakes the Clown, and God Bless America. With a number of comedy and satire films in the can Bobcat has decided to take a stab at a few new genres; Namely, horror and found footage. 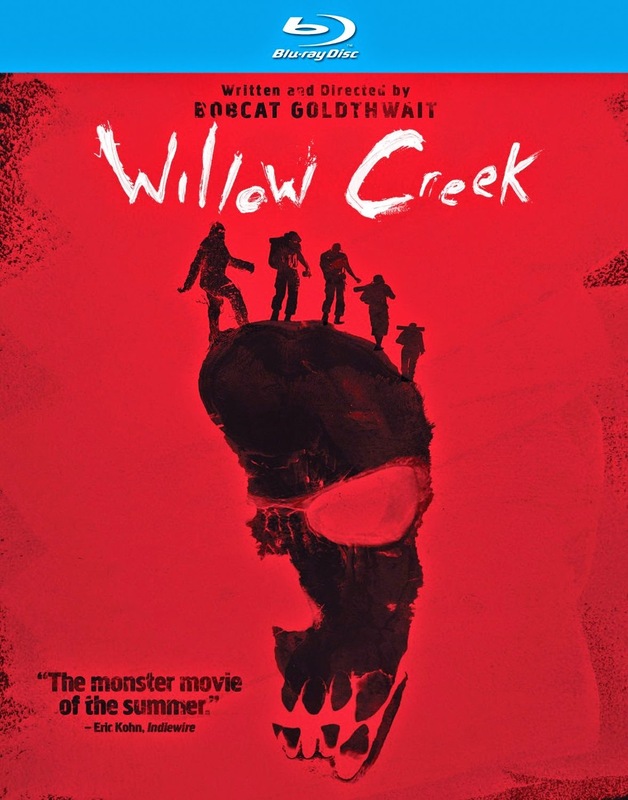 An overzealous Bigfoot nut (Jim; Bryce Johnson) and his skeptic girlfriend (Kelly; Alexie Gilmore) head to Bluff Creek in order to film a documentary about the legendary beast. For those not immersed in Bigfoot lore, Bluff Creek is where Roger Patterson and Robert Gimlin filmed the famous footage of the big lumbering creature back in 1967. This footage started a frenzy of Bigfoot sightings in the area and has since turned the place into a tourist hotspot for those hoping to catch a glimpse of the crypto. It's time for yet another Morbid Enterprises product review! This time around we're taking a look at the A Nightmare on Elm Street Freddy Krueger DOOR KNOCKER! While this is technically called a "door knocker" the glove doesn't so much knock as it does scrape the blades along the connected surface, which is actually perfect considering the character it's mimicking. McFarlane's lines based upon both The Walking Dead comic and Television series have truly improved with each wave. The latest collection of figures based on the incredibly popular comic proves that McFarlane Toys is dominating the world of 5 inch scale action figures. I've been anticipating the release of this particular zombie since the original prototype images hit the web, I'm happy to report that not much has changed in comparison to the prototype. To date the Punk Rock Zombie is one of the best walkers McFarlane Toys has produced. Back in May I shared a handful of images featuring Zavvi's upcoming limited Steelbooks courtesy of Arrow Video. After months of anxious waiting I have finally received my City of the Living Dead steelbook and I'm here to report that it looks even better in hand than in the pictures. This particular release has since become one of my favorite releases and it's one that I highly recommend to fan's of the Fulci classic! 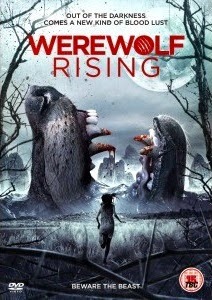 Below you'll find a collection of pictures detailing the release and even comparing it to the slipcase version Arrow Video released back in 2010. Enjoy! It's that time again, August really seemed to fly by and today I was greeted with yet another mysterious collection of horror goodies thanks to the fine folks over at Horror Block! Spooky Town - Dr. Stretch N. Pull's Torture Factory review! It's officially that time of the year again, Labor Day has always signified the onset of cool crisp winds, dead leaves, and the beginning of the Halloween season! 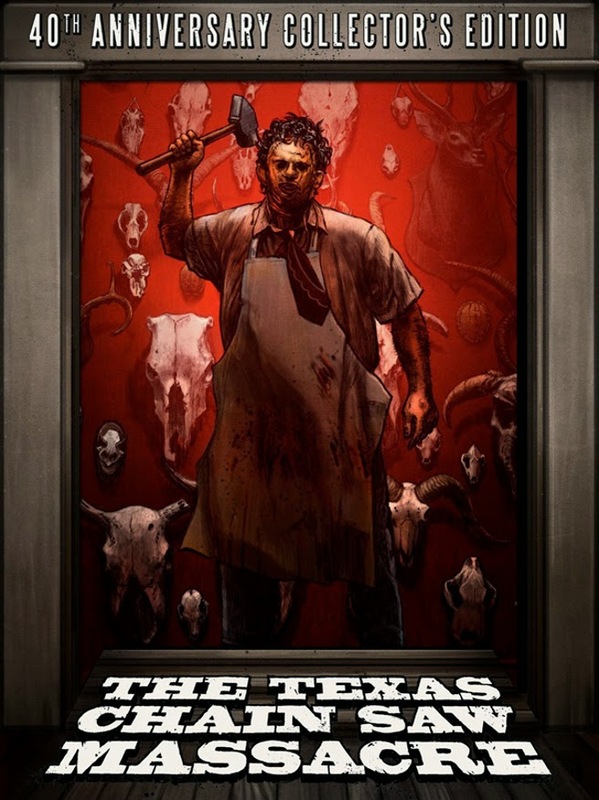 Be sure to stay up-to-date with all of the Halloween happenings by favoriting/subscribing/liking/following the various Cannibal Reviews social media accounts. Prepare yourself, Halloween is just a short 59 days away! 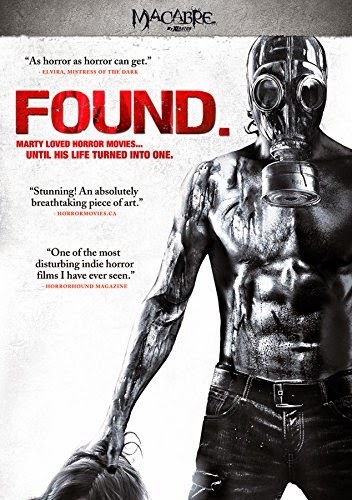 Love it or hate it the found footage film has become a staple of the horror genre and it doesn't seem to be going anywhere anytime soon. The horror genre is built on formula and sometimes that means a certain type of film can get "done to death." 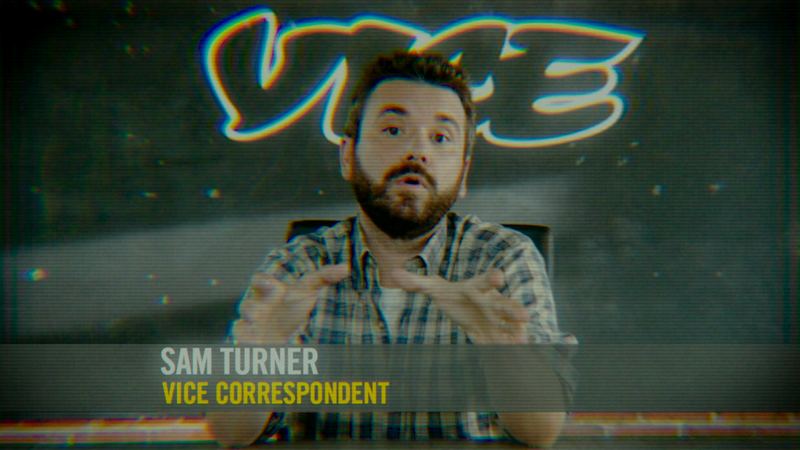 With that said, I feel that found footage is truly relevant to our time period. We live in a world where almost every single person feels the need to document themselves in some way (I'm including myself in this statement.) So in many ways the current popularity of this kind of film makes sense. 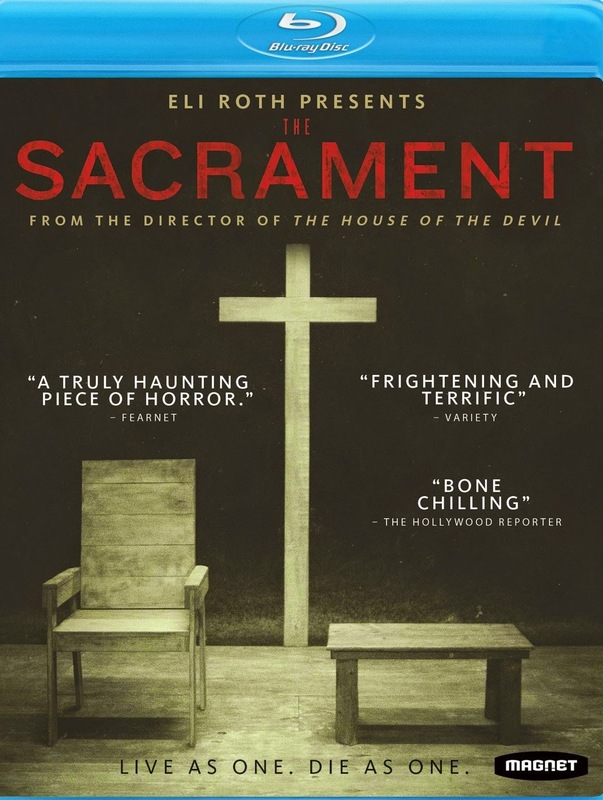 Which brings us to The Sacrament, Ti West's newest outing; filmed and edited to mimic a VICE documentary. A very interesting choice for a director best known for films like The Innkeepers and House of the Devil.